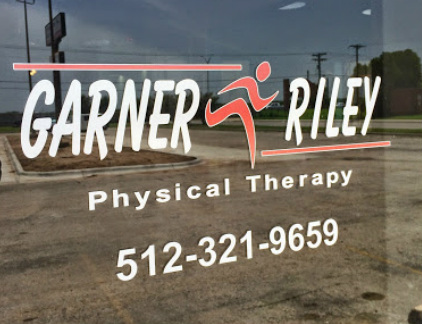 How do I start physical therapy at Garner & Riley Physical Therapy? 1) Obtain a written prescription from your physician requesting physical therapy evaluation and treatment for your particular diagnosis. *Initial Evaluations may be completed without a physician's referral, but treatment can not be performed until a written plan of care is prescribed by the physician. If you are a returning patient with a recurrent problem or injury within the last 12 months, you may initiate physical therapy without obtaining a new prescription. 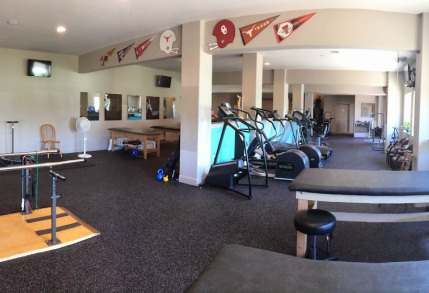 2) Call our front office at (512) 321-9659 or email us and schedule an appointment. Our receptionist will take your insurance information. Before your initial evaluation, our staff will contact your insurance company to verify benefits and will communicate these benefits to you. 3) When you arrive at the clinic, you will complete the required admission paperwork. Then, a physical therapist will perform an initial evaluation that consists of an interview including questions about your injury or symptoms and a physical examination to determine the cause and/or the severity of your problem. Together with the physical therapist, you will determine a plan of care to alleviate your symptoms. The initial evaluation typically takes 30-60 minutes. For your first visit, please bring the prescription from your physician and a copy of your insurance card. Wear comfortable clothing to your initial evaluation, and if your injury is on a body part not easily accessible, please wear or bring clothes so that the problem area may be exposed to allow the physical therapist to fully evaluate your problem. You will be able to change at the clinic if necessary. Medication lists and reports from previous imaging studies (i.e. X-rays, MRI, EMG, etc.) are helpful during the evaluation and determination of the plan of care.